Home > Trailers > Can The Huntsman: Winter's Curse be better than the films? Can The Huntsman: Winter's Curse be better than the films? Okay, so licensed games don't have a great reputation, but here's the thing; there's actually a couple of movie licensed RPGs that I really enjoy. EA, when it had the license for the Lord of the Rings films (sadly now expired, because EA did great work with that license), there was a licensed RPG called The Lord of the Rings: The Third Age. Containing more than a shade of Final Fantasy X in it, it was a really high quality expanded universe game that introduced us to new characters and events not covered in the film. 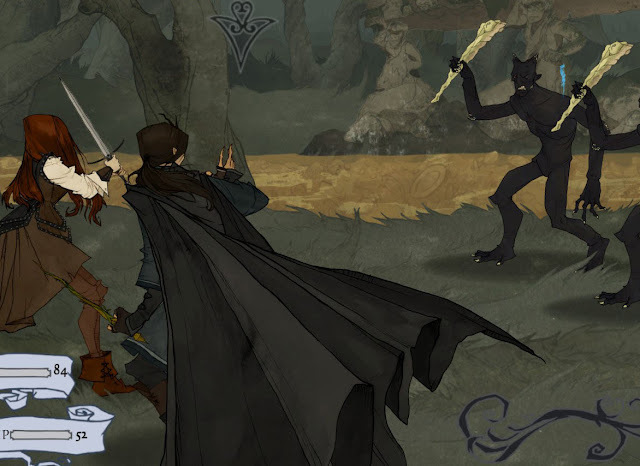 Then there was a really decent little RPG on the DS for Prince Caspian, and as terrible as the film was, the Game Boy Advance edition of Eragon was top-shelf stuff. So, I'm hoping that The Huntsman: Winter's Curse can continue in that tradition. I'm not a fan of the film series at all, but this game looks really good, and promises to be a lot of fun. Coming to us from Desert Owl Games, The Huntsman: Winter's Curse follows the story of Elisabeth, as she searches for her siblings in a fantasy world filled with danger and monsters. Fans of the films can look forward to a lot of the settings being pulled straight from them. But even if you're not here for that reason, there's a choose-your-own-adventure style narrative, which hopefully offers a lot of consequence for actions. Combat, meanwhile, is card-based. It's in real-time, and you'll be looking for all kinds of equipment cards through the quest to help you overcome the enemies. 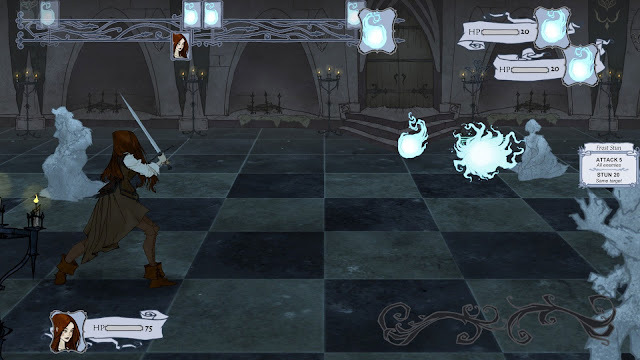 It's also a really good looking game, with a nice, elegant art style, and all the usual fantasy trappings. This game releases on August 16 (US) and August 23 (EU and Australia), and might just be the surprise of the month if it delivers on what it's promising.